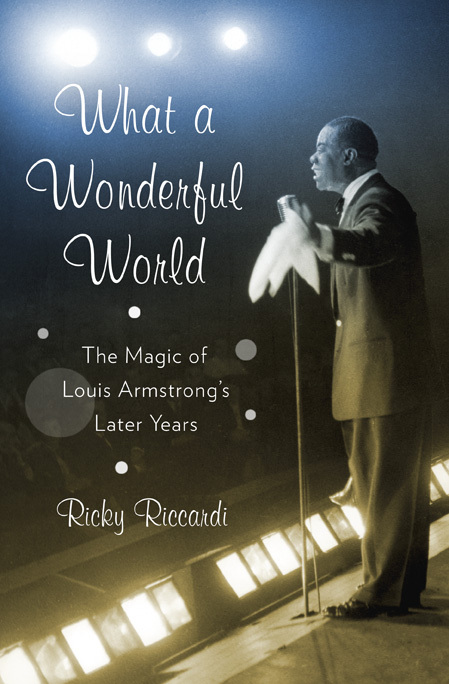 The Wonderful World of Louis Armstrong: Today's the Day! Well, it's finally here. 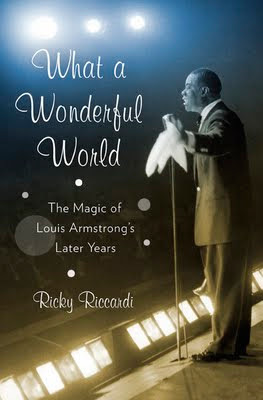 Four years ago I started this blog, promising to write a book one day about Louis Armstrong's later years and as of this morning, that day has arrived. It's been a helluva ride, as my longtime readers will attest, but I've had a ball. And frankly, I think the real ride is only just beginning! San Francisco Chronicle. I've been a longtime admirer of both Nolan and Gioia and to read their words about my work, well, I don't know how to properly sum up my happiness. And if you want to read a short excerpt, head over to JazzWax, where Marc Myers has a bit about it today. All in all, this is one of the most exciting times of my life and I thank all of you who have shown interest in my work over the years. Now go out there and grab a book...happy reading! Congrats! Great, it came out! What a wonderful ... news. This is really your year. Well, this book surely is NO stage joke. Keep floating, my man! Just got my copy, am a chapter in, and all I can say as one true Louis fan out of millions is THANK YOU, Ricky!! A real Gassuh!! Can't wait for the Slim Gaillard book! ... and today Amazon also delivered the book in Germany, and I got my copy. So I don't write anything more at the moment, but go reading... ! Wunderbar! Congratulations from me also. The book arrived yesterday in the evening. The amazon folks in Germany says: Only 9 pieces in stock. Seems to be sold out soon. Just ordered mine on Amazon and it didn't cost me a dime. Never knew I could use those AMEX Rewards points! Keep up the great work on the blog, too! Congrats! There can never be enough said or written about such a wonderful man. Just a note that the Zinc jazz club in Greenwich Village NYC is hosting a birthday tribute show for Louis Armstrong on July 27th. The amazing trumpeter and gifted vocalist Joey Morant will be playing with a quartet. If you'd like to have some copies of the book available at the club please let me know.